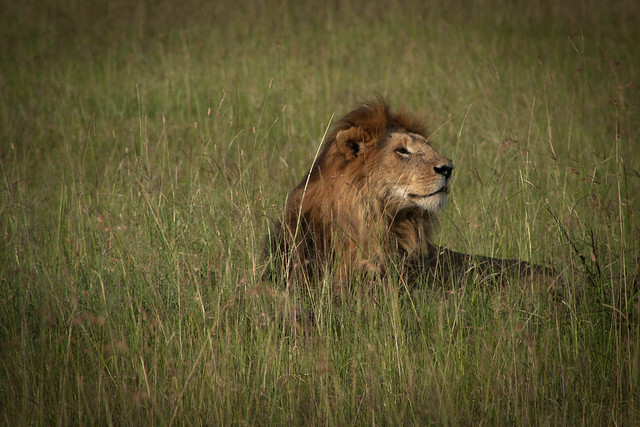 Last year before moving back to Mumbai from Kenya, the family decided to do the MUST VISIT trip to Masai Mara – a large animal reserve in Kenya (Africa). The scenes we experienced were something we had seen only on National Geographic and Discovery TV Channels. 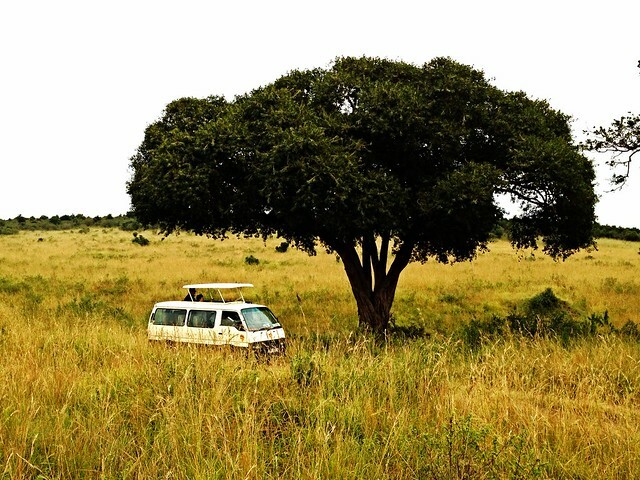 The drive to Masai Mara from Nairobi is a bit long and gets rough towards the later end. Interestingly when the roads get bumpy you should start seeing some animals far into the horizon. If you are lucky some walk close to the highway and give you that photo moment. Once you pass the security gates of the animal reserve, you pretty much leave most civil life behind you. What you see for the next few kilometers is serene landscape and lots of sign boards pointing you to the handful of resorts built inside the jungle. We had picked the Sarova Mara Game Camp. It’s an excellent property and we really didn’t have much to complaint. Expect no fancy hotel rooms here – this is a CAMP. What you get instead are fancy tents. You can really feel the jungle surroundings with the animal sounds and the deep silence at times. Oh yes, there is no TV and Room Service available. 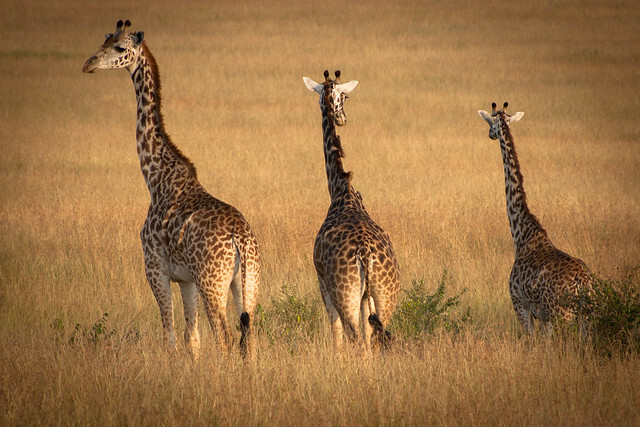 Most holiday organisers will advise you to do 2 game rides (drive around the mara). One is super early in the morning just as the sun rises and one towards late afternoon / early evening before the sun sets. They typically can take up to 2-3 hours depending on how far you ride across and get to spot some action like a hunt or mating. And if you happen to see one of those consider your trip a success. The other matrix is to be able to see all the Big Five – (lion, leopard, African elephant, African buffalo, and Black Rhinoceros). We missed out on seeing the leopard. The rides are an experience. There really isn’t a road map except for the mental ones in the heads of the drivers. It is amazing to see how they navigate and find their way around. All the drivers irrespective of which tourist company they are from, work as a team. If your van’s wheel is stuck in a ditch, one of them will stop and help you out. That’s the protocol and everybody will do it. Respect for the brotherhood they share. When the driver starts his first ride, he uses the wireless kit in the van to tune into a common frequency which lets them talk to each other and share tips on the animal sighting spots and other things to beware of during the rides. And if you get a good driver he will keep you updated on where he is driving and what we are expecting to see. A holiday of this kind is a very refreshing from the regular kinds – where you typically spend time planning what to see, how to reach there, then some shopping and food. Not here, once in the game reserve your life is pretty much sorted. You gotta do the 2 game rides, spend the day at the hotel playing some games, take a dip in the pool, read a book and end the evening with a drink at their fireplace bar (And that’s the only place which has a TV). No malls to visit. No shopping trips. I managed to borrow a zoom lens kit from a colleague for this trip and here are some of the shots I took on the 3 day trip. Click here to see the album on flickr. If you wish to plan a trip to Africa, let me know and I will be happy to connect you with an excellent tour operator who undoubtedly offered me the best rates for the many trips I took during my 2 years in Kenya.